Ah, the wisdom of cute puppies!As this puppy says, sometimes you really do have to go "whaling" when it comes to dating. 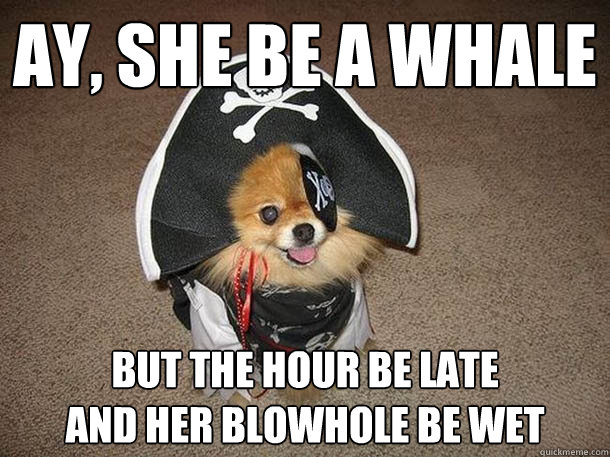 As the caption on the picture says, "Ay, she be a whale, but the hour be late and her blowhole be wet." For those certain occasions, sometimes truer words have never been spoken, my puppy friend!